The independent Local Government Boundary Commission for England has opened a new phase of public consultation in its review of Isle of Wight Council’s division boundaries. 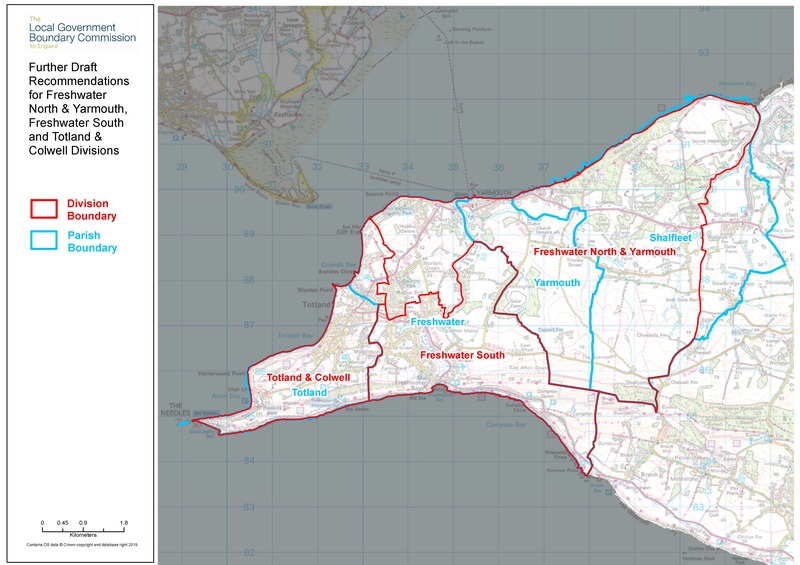 The consultation focuses on new proposals for division boundaries in three parts of the island: Freshwater and Totland, Ryde and Ventnor and Wroxall. Local people have until1 April 2019 to have their say on the proposals before the Commission finalises its recommendations for new divisions across the whole island in June. In September 2018, the Commission opened a public consultation on proposals for new division boundaries across Isle of Wight. In response to local feedback on the plans, the Commission has decided to make significant changes to their boundary proposals in three parts of the island. Due to the extent of the proposed changes, the Commission is holding an extra round of consultation before it finalises the recommendations. Professor Colin Mellors, Chair of the Commission, said: “We listened carefully to all the views put to us in the previous consultation and have made significant changes to the original recommendations in some parts of the island. In the west of the island, the Commission has decided to change its original recommendations so that the shopping area around Avenue Road will be part of a Freshwater division rather than Totland as previously proposed. Local people and groups argued that the area is a fundamental part of Freshwater and not Totland. The Commission has also changed their proposals so that the area of Colwell would be part of the Totland division rather than Freshwater as previously proposed. The Commission received persuasive evidence during the public consultation that this amended proposal would be a better reflection of local community ties. 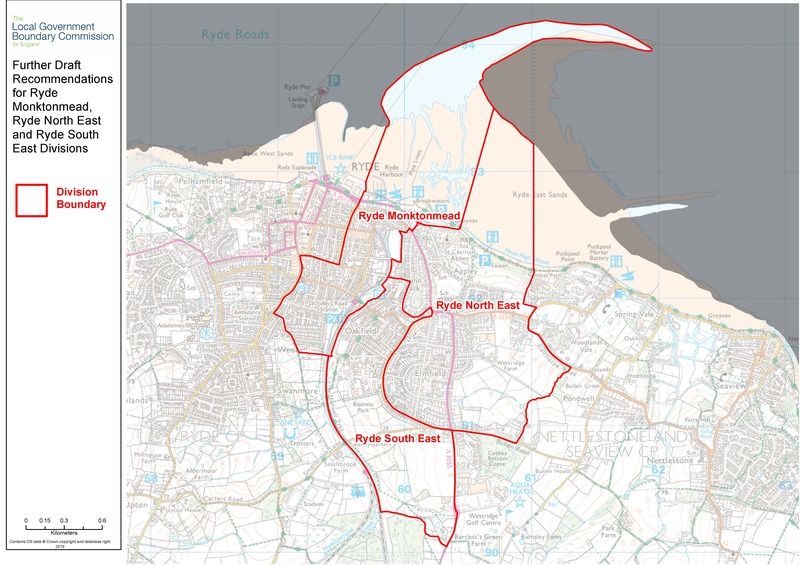 In Ryde, the Commission has clarified its proposal for the boundary between Ryde North East and Ryde South East divisions so that it would run along West Hill Road and Park Road. Mapping published by the Commission on its website during the earlier consultation had incorrectly marked St Johns Hill as the proposed boundary. To avoid confusion, the Commission is giving local people another opportunity to comment on the boundary proposals in Ryde. 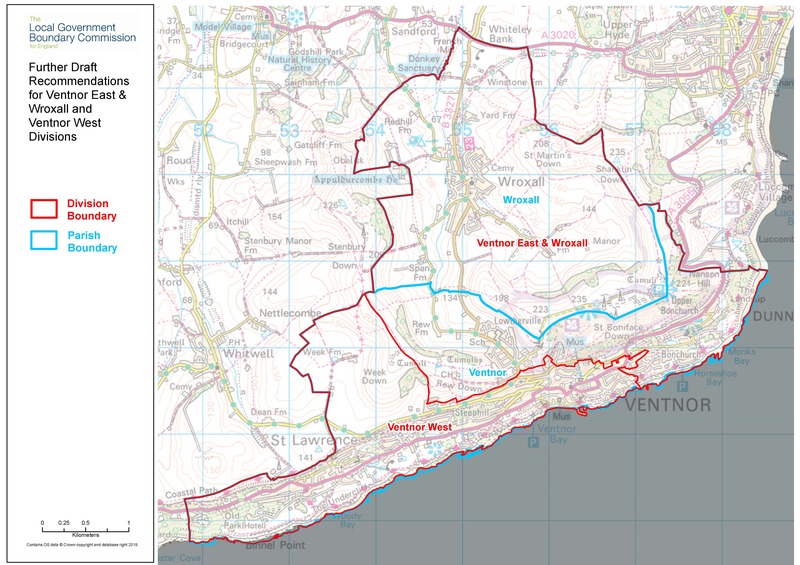 In the south of island, the Commission originally proposed a Ventnor & Wroxall division to cover both communities in an area that would be represented by two councillors. The Commission listened to local objections regarding its draft recommendations and has decided to put forward a new plan for two divisions, each to be represented by one councillor. The Commission believes its proposed Ventnor East & Wroxall and Ventnor West divisions are a better reflection of community ties in this area. The consultation is limited to the Commission’s new proposals in the three areas of the Isle of Wight. Details of the recommendations, including maps of the proposals, are available on the Commission’s website at www.lgbce.org.uk and at https://consultation.lgbce.org.uk/node/12655. Residents have from 5 March until 1 April 2019 to have their say about where division boundaries in Isle of Wight should be drawn. The Commission will consider all submissions and aims to publish its final recommendations in June 2019. Once the Commission agrees its final recommendations it will lay a draft order in both Houses of Parliament. Parliament will then have 40 days in which to consider the recommendations. If both Houses are satisfied with the recommendations, the draft order will be ‘made’ and the new divisions will come into effect at the council elections in 2021. The Commission is satisfied that it has received sufficient evidence to finalise new division boundaries for the rest of Isle of Wight and aims to publish a full set of final recommendations for the council in June.